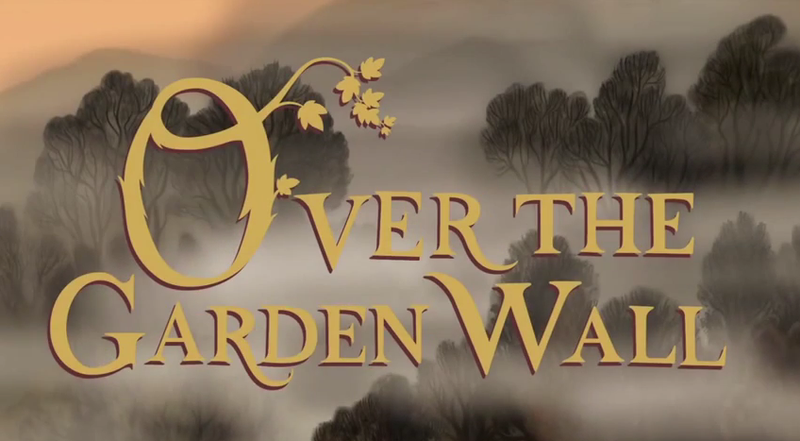 Welcome back to "Myths and Meanings of Over the Garden Wall," where I analyze this gorgeous and surreal ten episode mini-series. Here is part one and part two. Beware: here there be spoilers. Per the show's creator, Patrick McHale, Wirt's name was originally Walt, but he changed it to Wirt. "Wirt just seemed to fit the character better as he developed. more mysterious. more arrow-like. it's not short for anything." These story notes/sketches for "Hard Times at the Huskin' Bee" show some discarded names for Enoch: "John of the Torch," "Will of the Wisp," "Jack of the Lantern." A will-o-wisp is a piece of folklore, also called a jack-o-lantern, that appeared to be ghostly lights that led travelers astray. A "wisp" was a bundle of papers lit to make a torch - and people added a generic name to it to create "Will of the Torch" (or "Jack of the Lantern"). "Chapter 6: Lullaby in Frogland"
Summary: Wirt, Greg, and Beatrice sneak onboard the ferry filled with frogs in fancy dress in order to get to Adelaide. They get nearly get caught several times before Greg's frog starts to sing and the frogs, in appreciation, let them stay. But what secret is Beatrice keeping? References: The ferry is called the "McLoughlin Brothers Ferry," referencing the McLoughlin Brothers who published numerous children's books between 1828 and 1920, although theirs were more bowdlerized than Over the Garden Wall. The song "Over the Garden Wall" that Greg's frog sings actually foreshadows somewhat things that are later revealed that happened with Wirt and Greg in the real world: references to a lake and a single soul (Wirt) who is "content to be slightly forlorn." When Wirt and Greg finally meet Adelaide of the Pastures, it turns out she's less of a good woman and more of a wicked witch. Her use of string and scissors shows influence from Atropos, one of the Moirai or Fates, who cut the thread of life with her "abhorred shears." Adelaide melts when exposed to the night air, much like the Wicked Witch of the West melted when exposed to water. The Wicked Witch, in L. Frank Baum's original book, was also afraid of the dark. "Chapter 7: The Ringing of the Bells"
On the left is Yubaba from Hayao Miyazaki's Spirited Away. On the right is Auntie Whispers. Both are witches that keep young girls as servants (although Auntie Whispers turns out to be a little more altruistic in that regard). They both have sisters who are also witches (Zeniba/Adelaide). The name "Lorna" was coined for the book Lorna Doone: A Romance of Exmoor, also about a young woman with a dead family who is hidden away, but falls in love with a young man. "Chapter 8: Babes in the Wood"
Summary: Wirt has lost all hope of every finding the way back home and so, after hearing the sound of the Beast's singing, he decides they should just go to sleep. After they fall asleep, Gregory has a dream about the Queen of the Clouds and the North Wind. as I've heard people say? The sun it went down and the moon gave no light. Then the poor little things just lay down and died. Took strawberry leaves and over them spread. Poor babes in the wood, poor babes in the wood! "Babes in the Woods" is also the name of a Silly Symphonies short that's more of an adaptation of Hansel and Gretel than the "Babes in the Woods" story. Many of the scenes in the Cloud City are directly inspired by Alice's Wonderland, the first of the Alice Comedies. There's also a mixture of Little Nemo in Slumberland and The Harveytoons Show. The villain that Gregory fights off is called the North Wind; in Greek mytholoy, Boreas was the North Wind, part of the Anemoi, and was very violent. The song that the people of Cloud City sing is called "Forward, Oneiroi!" The Oneroi were the personification of dreams, brother to Nyx (Night), Hypnos (Sleep), and Thanatos (Death). While the title of the song refers to them as Oneiroi, however, the lyrics first call them "cherubs." The song also ends with an "amen," indicating that perhaps it is a hymn. The part where they sing "Forward, Oneiroi!" was inspired by the 1954 stop motion film Hansel and Gretel: An Opera Fantasy (you can watch a clip here). At the end of the episode, after Gregory trades himself to the Beast instead of Wirt, Wirt tries to chase him and ends up falling into a frozen lake. This is another appearance of a lake, this one a direct correlation to the next episode where we find out exactly how Wirt and Greg ended up in the Unknown. Next time: Come, wayward souls who wander through the darkness! There is a light for the lost and the meek! Sorrow and fear are easily forgotten when you submit to the soil of the earth! Stay tuned for part four.